Melodious Jhulelal songs with new Generation rock style Sindhi Musical Songs. 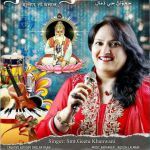 11 mesmerising folk romantic n jhoolelal songs collection of old and new Sindhi Songs by Mrs. Geeta Khanwani. All songs designed arranged and mixed by Jagdish Lalwani.